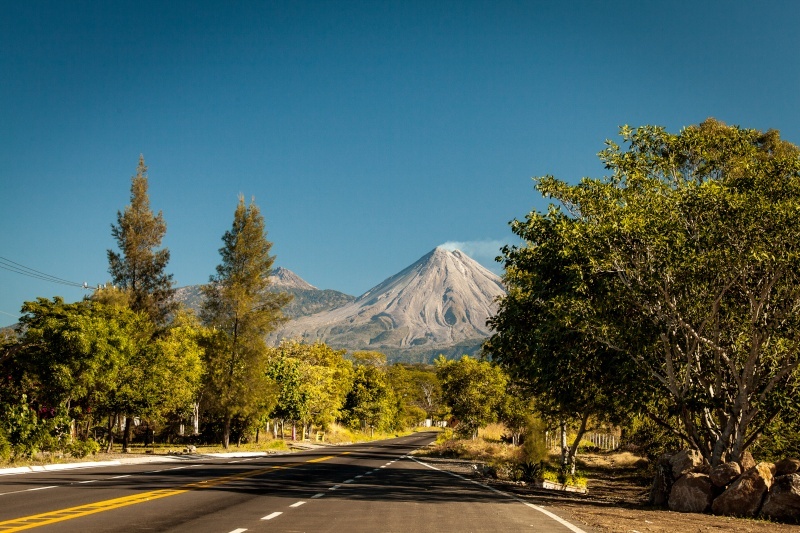 We would like to take a day trip to see the volcano and get in some hiking and sightseeing. Where would you recommend we go? Thanks in advance. 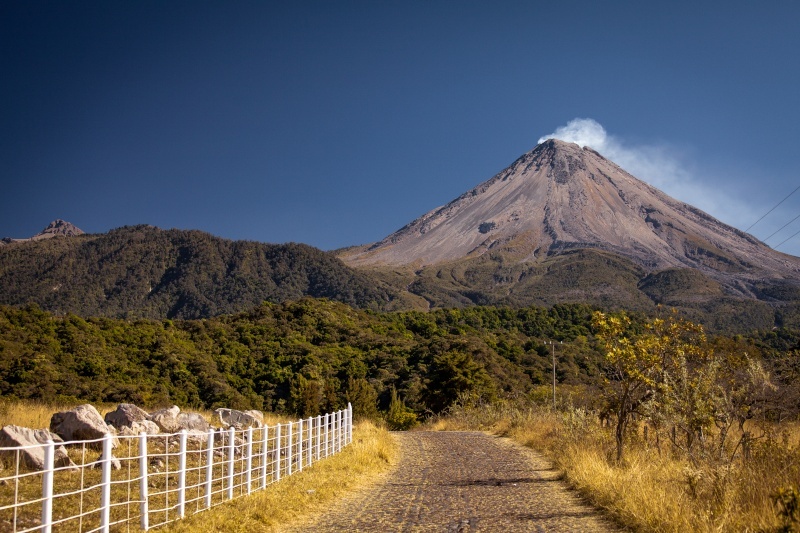 There is a small town right at the base of the mountain called Comala. It is one of the Pueblo Magicos They have tours out of there. I should have added... We would prefer a non-guided trip that is driveable in a car. Probably not a good idea to take off on your own......there are areas that strangers should not go into...even some of the locals don't venture into them. WillieRae wrote: Probably not a good idea to take off on your own......there are areas that strangers should not go into...even some of the locals don't venture into them. Taking off on your own anywhere you're not familiar with can sound like a more pleasurable way to enjoy the country, but there are risks. It's best to be aware of what they are before taking off. The guides do know. Laguna La Maria at the base of the volcano would be my choice,it's rustic but nice and peaceful. You can do a little fishing there too!! CanuckBob wrote: You can do a little fishing there too!! They've caught some big ones there,me, I just lost lures(one of them is probably still hanging from the tree I casted into), and got skunked. It's a nice place,we were hiking by a berry farm,I asked one of the pickers if I could buy some,he handed me a container of them and refused any payment. Check out admiremexicotours.com....Jupiter is completely hi-bilingual and a great guide! A volcanic eruption which proves that reality can overtake fantasy. 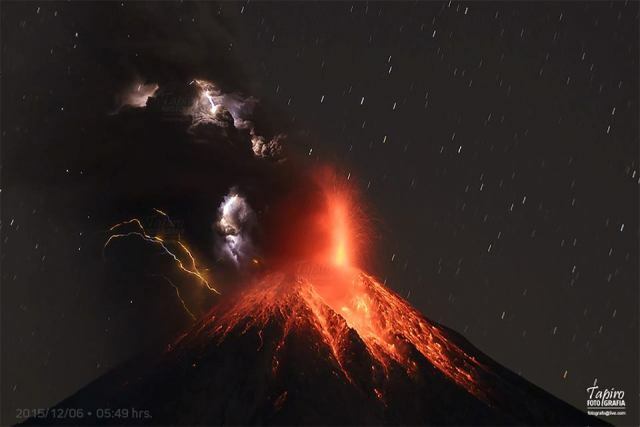 At dawn on Sunday 6 December 2015 occurred this magnificent explosion incandescent Colima Volcano, accompanied by lightning and pyroclastic. Photo taken from the viewpoint of the volcano lagoon Carrizalillos, Comala 12.5 km away the crater. I would guess that coffee plantations are safe to visit but not if spelled "coffee plantations"
The folks at Yerbabuena Buena are being forced out by other reasons .... not a pleasant scene to think about.....politics are alive and well. It's a beautiful area. Good advice to not take off on our own! Always appreciate that reminder! It appears we may have multiple options we'll enjoy checking out. On our way up the mountain this past Monday. This was taken just past the turn off to Suchitlan. An absolutely gorgeous day. Drove past la Yerbabuena as far as we could. The road leading to la Yerbabuena. 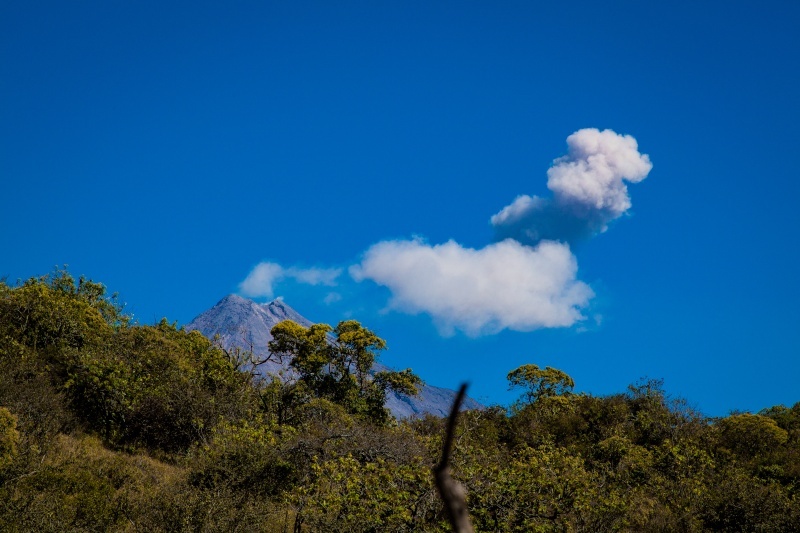 There is a webcam that catches the volcano erupting several times a day recently. Fascinating to watch! Wonder when the BIG blow will happen? Lots of rockin' and rollin' going on around the world recently. It blew off a little steam when we came back down. By the time I found a spot to pull over it had stopped. This has been going on for awhile, we drove down to see it a few months ago. But has it really erupted? Lava flows and all? It blows off steam daily. But I think the ash and lava flow eruptions are far less frequent. I want to go at night. They say you can see it spitting fire.